NEW YORK (CNNMoney) - Facebook and Google cemented their dominance over digital media in 2017. But small cracks may be forming. 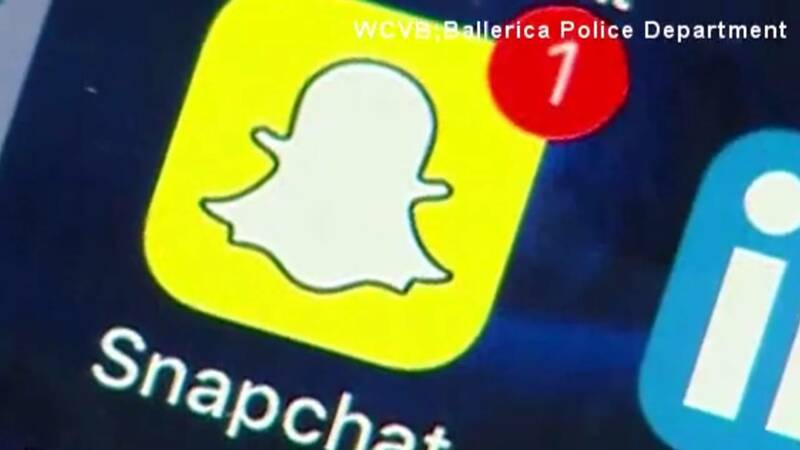 Snapchat and Twitter both showed signs of long-awaited turnarounds this week, with analysts suggesting their businesses may be benefiting from concerns about Facebook's impact on users and society. The two companies, thought to be on the ropes at various points last year, surprised Wall Street this week with stronger than expected sales for the final three months of 2017. Snap showed renewed user growth; Twitter turned a profit for the first time. Snap, the parent company of Snapchat, surged nearly 50% on Wednesday, pushing the company above its IPO price for the first time since July. Twitter is now trading above $30 a share for the first time since 2015. Facebook's stock, on the other hand, is down slightly this year. The company rattled investors by tweaking News Feed to show less content from publishers and brands. It also revealed users are spending less time on the social network as it chooses to show fewer viral videos. Both issues are the result of Facebook trying to address its questionable impact on the world. Facebook has faced a groundswell of criticism for enabling fake news, filter bubbles, foreign election meddling and social media addiction. Now, some industry watchers are revisiting their assumptions about whether Facebook and Google will continue to run away with the online advertising market. "We might need to rethink... whether digital advertising really is going to trend towards a duopoly," James Cordwell, an analyst with Atlantic Equities, told CNN Tech. "That still looks like the most likely outcome, but the results... certainly give one pause for thought." In addition to Snap and Twitter, Cordwell noted that Amazon's ad sales business appears to be growing fast too. Amazon's "other" revenue, a category that includes advertising, grew 62% year-over-year to $1.7 billion. Facebook and Google have dominated the online ad market for years thanks to their massive reach and vast amounts of data. The companies are estimated to have gobbled up more than 60% of digital ad spending in 2017. Advertisers and publishers have long hoped for a viable third alternative to combat the tremendous leverage that Facebook and Google have over them. Now Facebook may inadvertently be helping the cause. "What we didn't factor in were users being equally desperate for alternatives," James Cakmak, an analyst with Monness, Crespi, Hardt & Co., wrote in an investor note this week about Snap's improved user growth. "The backlash against Facebook may very well have played a factor." Snap CEO Evan Spiegel has previously played up the societal concerns about Facebook to his advantage, without actually naming names. While announcing a Snapchat redesign in November, Spiegel said other social media platforms "fueled 'fake news' because content designed to be shared by friends is not necessarily content designed to deliver accurate information." Twitter, along with Google's YouTube, has also come under scrutiny for spreading fake news and Russian propaganda, but Facebook has arguably endured more of the criticism by virtue of its unmatched size. Daniel Ives, an analyst with GBH Insights, wrote in an investor note Thursday that Facebook's decision to tweak the News Feed may prove to be a "tailwind" for Twitter's advertising business. Facebook's move "is forcing publishers and online advertisers to 'dip their toe in the water' on the Twitter platform and start to ramp up ad investments on this platform," Ives said. For now, though, Facebook remains miles ahead. Facebook has grown to more than two billion monthly users, while Twitter is stalled at 330 million. Facebook has 1.4 billion daily users, while Snapchat has 187 million. Facebook's $40 billion in annual sales last year was more than ten times the sales brought in by Twitter and Snap combined. But this week may be a reminder not to count the little guys out just yet.